Samsung’s look-but-don’t-touch policy left many wondering precisely how committed the company is to its new robots. On the other hand, the company was more than happy to let me take the GEMS (Gait Enhancing and Motivation System) out for a spin. 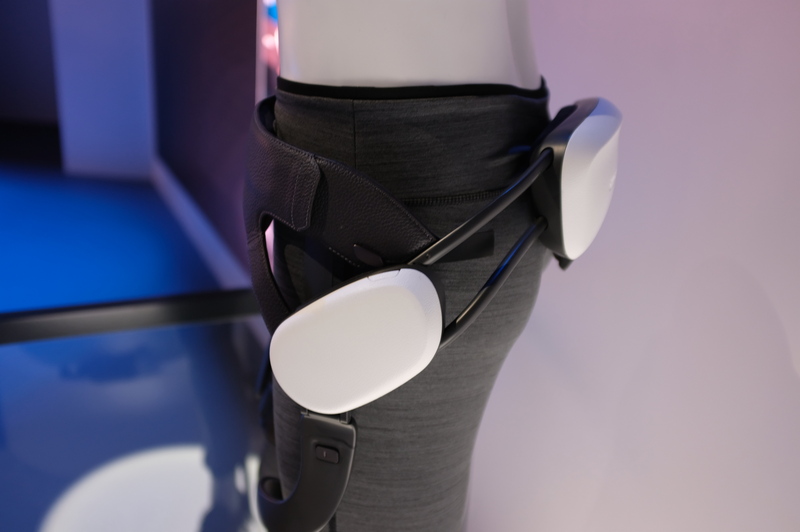 The line includes a trio of wearable exoskeletons, the A (ankle), H (hip) and K (knee). Each serve a different set of needs and muscles, but ultimately provide the same functions: walking assistant and resistance for helping wearers improve strength and balance. Samsung’s far from the first to tackle the market, of course. There are a number of companies with exoskeleton solutions aimed at walking support/rehabilitation and/or field assistance for physically demanding jobs. ReWalk, Ekso and SuitX have all introduced compelling solutions, and a number of automotive companies have also invested in the space. At this stage, it’s hard to say precisely what Samsung can offer that others can’t, though certainly the company’s got plenty of money, know-how and super-smart employees. As with the robots, if it truly commits and invests, if could produce some really remarkable work in this space. 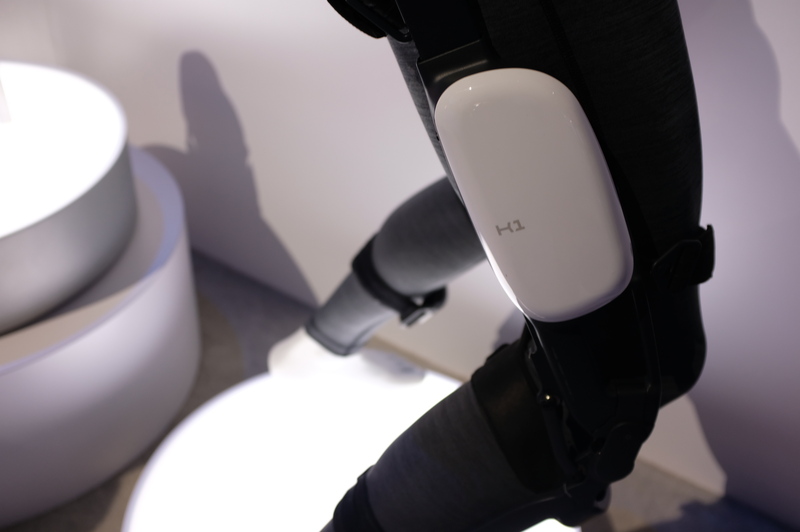 Having taken the hip system for a bit of a spin in Samsung’s booth, I can at least say that the assistive and resistance modes do work. A rep described the resistance as feeling something akin to walking under water, and I’m hard-pressed to come up with a better analogy. The assistive mode is a bit hard to pick up on at first, but is much more noticeable when walking up stairs after trying out the other mode. Like the robots, it’s hard to know how these products will ultimately fit into the broader portfolio of a company best known for smartphones, TVs and chips. Hopefully we won’t have to wait until the next CES to find out.